Finding the perfect kids bedroom set is all about creating the most comfortable, freeing, and enjoyable environment for your child. Especially as children get older, it’s increasingly important to have a private space to retreat, play, read, and relax. 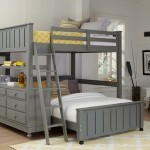 Whether you’re looking for an individual bed, bunk beds, or a creative configuration for one or more than one child, we’re proud to offer the best youth bedroom sets in Los Angeles right here at Kids Only Furniture. The best kids bedroom sets aren’t just about finding the right look; they’re also about capturing a warm sense of comfort as well as ensuring safe and reliable use through the years. 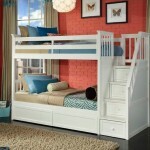 At Kids Only Furniture, we’re dedicated to providing the most trustworthy youth bedroom sets in Los Angeles and the surrounding area, and utilize only the most safety conscious and natural materials in all of our designs. Multi-surface elements allow for increased storage space as well as comfortable sleeping environments, and a wide range of fun, versatile, and effortlessly usable configurations offer the perfect complement to your unique space. While some manufacturers’ kids bedroom sets are designed to appeal to kids’ sense of style, they often do so at a cost to quality. When you shop with Kids Only Furniture, you’ll find the best of both worlds, with the most exceptionally crafted and visually fantastic elements to furnish any youth bedroom environment. Give us a call at (818) 841-5544 or visit one of our Los Angeles area locations to discover the best new furniture to please kids and parents alike.